1. In the bowl of a stand mixer fitted with a paddle attachment, beat the butter and sugar until light and fluffy, or about 3 minutes. 2. Add in the egg and beat until combined, about 30 seconds. 3. Add in the molasses and vanilla and beat just until combined. 4. Add in all of the dry ingredients at once, and mix on low until there are no more white streaks remaining. 5. Shape the dough into a flat disc and wrap in plastic wrap. Refrigerate the dough for a few hours or until firm enough to roll out. 6. Once your dough is chilled, preheat your oven to 350 degrees. 7. Take out your dough and roll it out on a lightly floured surface until it is about ¼ inch thick. 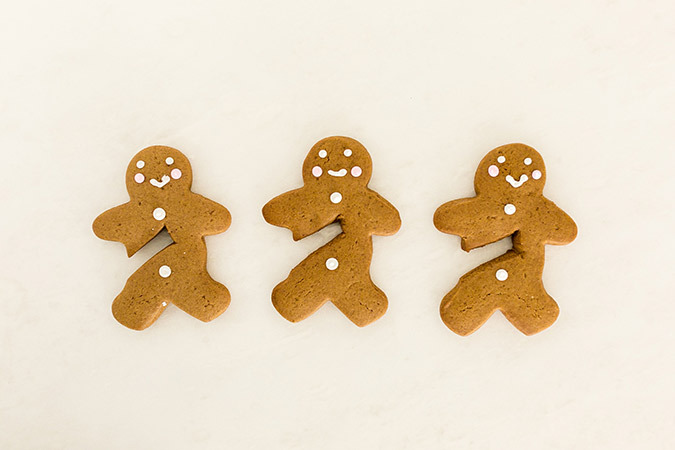 Cut out into mini gingerbread men and place them onto a parchment lined baking sheet. 8. Place your baking sheet into the freezer and freeze the gingerbread men until they are nice and firm. 9. 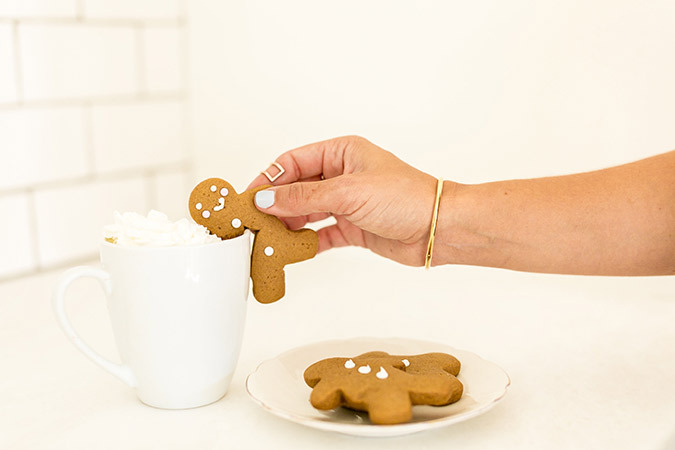 Take the gingerbread men out of the freezer and cut small slits in them along the side. 10. Bake until the edges of the gingerbread men are lightly brown and are starting to set. I tend to bake them a tad longer than normal, since you want them to hold up on your coffee mug. 11. 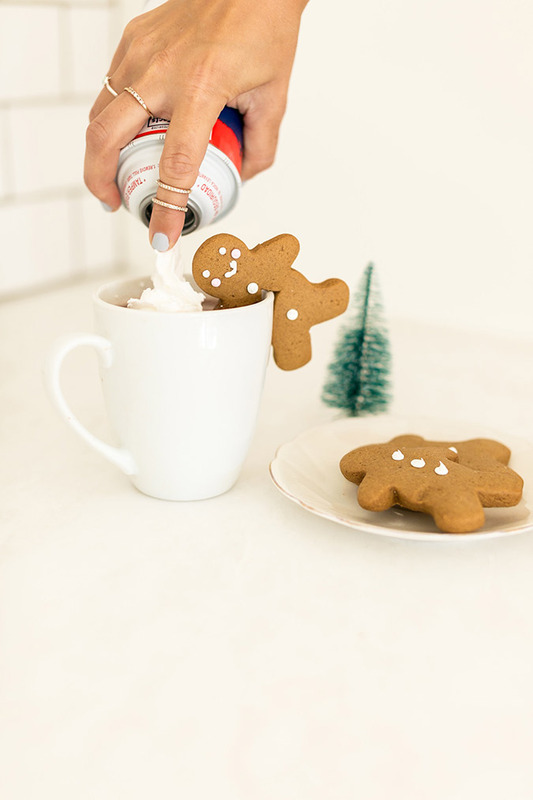 Make sure to cool the gingerbread men completely. Once they are cool, take your favorite frosting and pipe tiny little dots for the eyes, buttons and mouth. 12. Place on a mug full of your favorite beverage and enjoy! 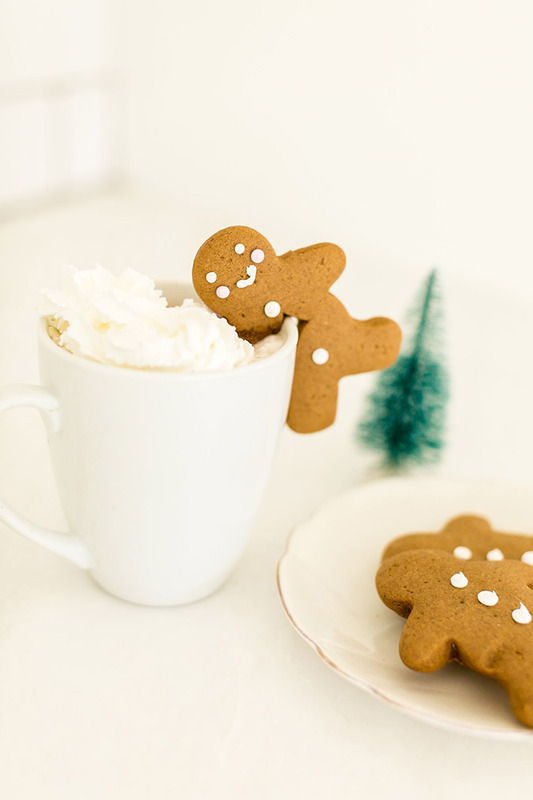 Will you been making these with your favorite warm drink?